A memoir of the profound destabilization that comes from losing one’s faith—and a young woman’s journey to reconcile her lack of belief with her love for her deeply religious family. 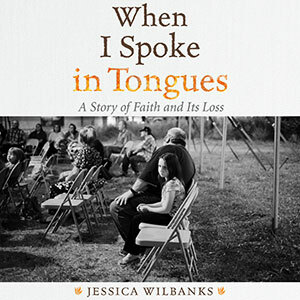 Growing up in poverty in the rural backwoods of southern Maryland, Jessica Wilbanks and her family built their lives around the Pentecostal church. At sixteen, though, driven by a desire to discover the world, Jessica walked away from the church, trading her faith for freedom and driving a wedge between her and her deeply religious family. But fundamentalist faiths haunt their adherents long after belief fades; former believers frequently live in limbo, straddling two worldviews and trying to reconcile their past and present. Ten years after leaving home, struggling with guilt and shame, Jessica began a quest to recover her faith. It led her to West Africa, where she explored the Yorùbán roots of the Pentecostal religion and was once again swept up by the promises and power of the church. After a terrifying car crash, Jessica finally began the difficult work of forgiving herself for leaving the church and her family and for finding her own path.